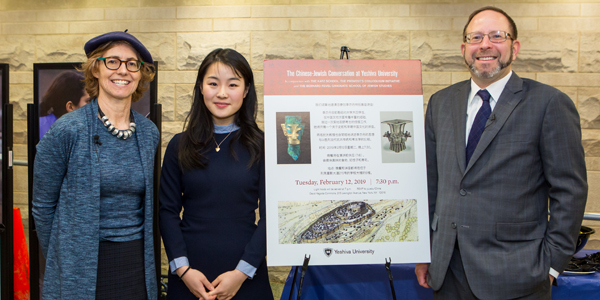 On Tuesday, February 12, 2019, East and West met at a special event titled “China and Israel: How did ancient states emerge? 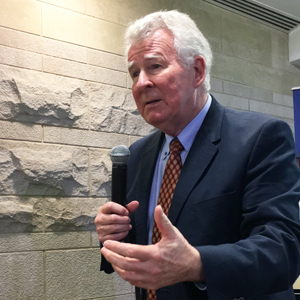 Archaeological perspectives,” which took place in the David Yagoda Commons on the Israel Henry Beren Campus. 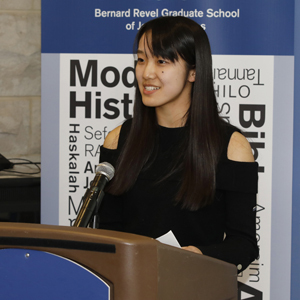 Marking a special cooperation among different YU schools, it was cosponsored by the Bernard Revel Graduate School of Jewish Studies, the Colloquium Initiative of the Office of the Provost, and the Katz School of Science and Health, which has recruited many Chinese students for its master’s programs. 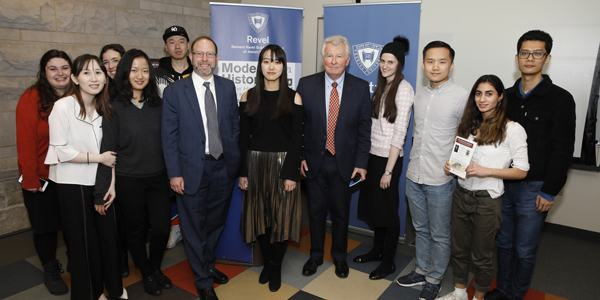 This event marked the inauguration of the “Chinese-Jewish Conversation at Yeshiva University,” a new initiative spearheaded by Dr. Mordechai Cohen, professor of Bible, associate dean of Revel and chairman of the academic Jewish studies division. 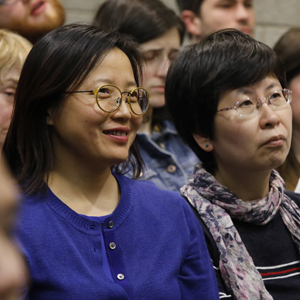 Dr. Cohen opened the event by describing this YU initiative, after which he introduced the two main speakers: Dr. Jill Katz, clinical assistant professor of archaeology, and Debby Li, a senior at New York University majoring in anthropology and art. 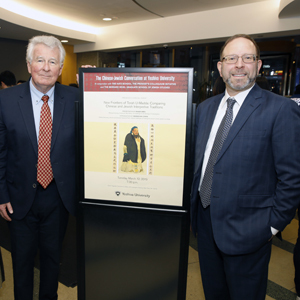 In his remarks, Dr. Cohen explained that the idea of the Chinese-Jewish conversation at YU actually began in October 2015 when Revel hosted a lecture by Dr. Youde Fu, founding director of the Institute for Judaic and Inter-religious Studies at Shandong University in Jinan, China. Along with offering descriptions of what archeologists actually do as they extract history from the sherds, bones and artifacts they discover, Dr. Katz and Li also noted the truth that none of the work archeologists do can be separated from the interpretations people make of it, whether that has to do with confirming a claim of ownership of land or maintaining a myth of cultural homogeneity. 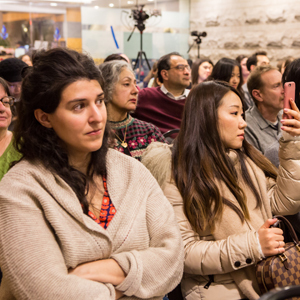 For the approximately 100 people attending the lecture, this inaugural event of the Chinese-Jewish Conversation at Yeshiva University created a welcome space for YU’s growing Chinese graduate student population while providing the intellectual groundwork for two different cultures to share their commonalities and aspirations. 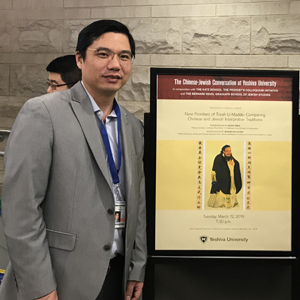 On March 13, 2019, Revel will present the next iteration of the Chinese-Jewish Conversation at Yeshiva University with a lecture titled “Confucian Role Ethics” by Dr. Roger Ames of Beijing University, a leading world scholar of Confucian thought. Registration is at yu.edu/confucius. 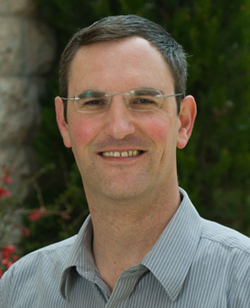 Dr. Daniel Tsadik, associate professor of Sephardic and Iranian studies at Bernard Revel Graduate School of Jewish Studies, has recently published The Jews of Iran and Rabbinic Literature: New Perspectives by Mosad Ha-Rav Kook (Jerusalem). 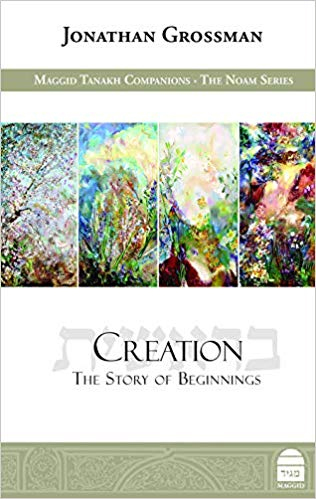 The book addresses the question of Iranian Jewry’s affinity with rabbinic literature from the 16th to the beginning of the 20th century. 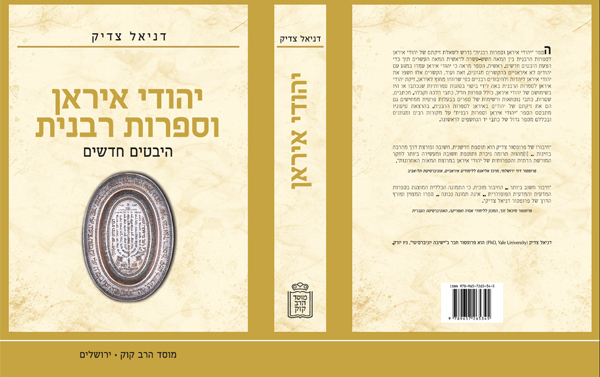 Many of the book’s theses challenge and revise prevailing views that see this Jewry as largely isolated from world Jewry and its rabbinic legacy. 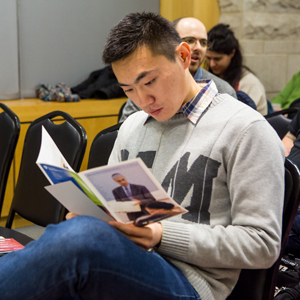 “Born to Iranian Jews, I have always felt intrigued by my parents’ Iranian roots,” said Dr. Tsadik. 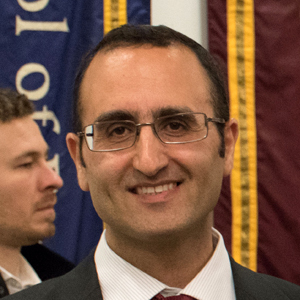 Completing his PhD work at Yale on the status of the Jews of Iran in the latter part of the nineteenth century gave him the chance to explore these roots in more depth.